From dogs and cats to reptiles, birds and horses, millions of animals around the world have led happy, healthy lives with the help of PetAg. 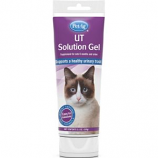 They have used the same scientific approach to develop leading brands familiar to veterinarians and pet owners everywhere. Contains four 5oz. tubes of each sku. Vitamin & Mineral gel High Calorie gel Hip & Joint gel Skin & Coat gel and UT Soluti. Great tasting easy to give gels. . . . Provides energy and extra nutrition for pets recovering from stress or illness. 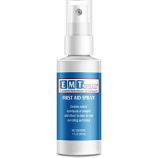 Can be sprinkled on top of your pets food fed with an oral syringe or mixed with water to combat dehydration. Provides extra nutrition to puppies. Promotes peak performance in working dogs. .
• Complete Food Source For Orphaned Or Rejected Puppies Or Those Nursing That Need Supplemental Feeding. 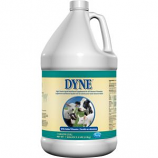 • Recommended For Growing Puppies Or Stressed Adult Dogs That Require Highly Digestible Nutrients. • Ready To Feed Liquid. • Complete Food Source For Orphaned Or Rejected Puppies Or Those Nursing But Need Supplemental Feeding. • Easy To Mix With Water. Feed 1 Teaspoon Per 5Lbs Weight For Daily Supplement. • Feed 2 Teaspoons Per 5Lbs Weight For Pregnant Or Lactating Dogs. • Complete Food Source For Orphaned Or Rejected Puppies Or Those Nursing, But Need Supplemental Feeding. • Easy To Mix With Water. • Prepared With Whole Goat Milk. • A Highly Digestible Complete Food For Young Growing Puppies. • 14 Oz 2Nd Step Puppy Weaning Food Is A Creamy Transitional Cereal Developed To Follow Esbilac. • For Easy Transistion From Milk To Soild Food. 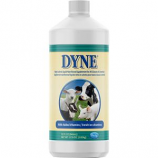 • It Has Superior Digestibility and Palatability. Seals and protects wounds. Supports healing process. Soothes wounds. Reduces bleeding. .
• Recommended For Growing Puppies Or Stessed Adult Dogs That Require Highly Digestible Nutrients. • Feed 1 Tablespoon Per 5Lbs Of Weight For Daily Supplement. • Feed Pregnant and Lactating Dogs 2 Tablespoons Per 5Lbs Of Weight. Enhances hip bone and joint health with Glucosamine and Chondroitin. Supports the development and maintainance of strong bones. 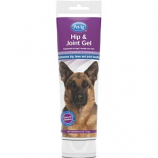 Relieves occasional joint stiffness and discomfort and assists with mobility. . . 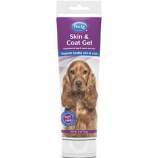 Supports healthy skin and coat. 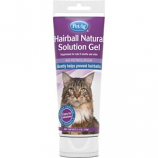 Helps maintain normal moisture in skin and achieve a healthy shiny coat. . . .